Attention: This giveaway is now closed. Please subscribe to our e-mail newsletter (link just to the right of this post) or follow us on Facebook to learn about other cool cat product giveaways. It’s never easy to watch a beloved furry friend get older: as they start to experience the aches and pains of arthritis and possibly begin to suffer from age-related chronic illness, we realize that the time we have left with them is going to be shorter than we might like. I’m not one for freaking out about my cats (or me) getting older, and I’m not on an endless search for the latest anti-aging “magic bullet.” Time passes, and aging and death are fundamental parts of reality. But what I do want for my elder kitties is that they can have the best possible quality of life until it’s time for them to cross the Rainbow Bridge. 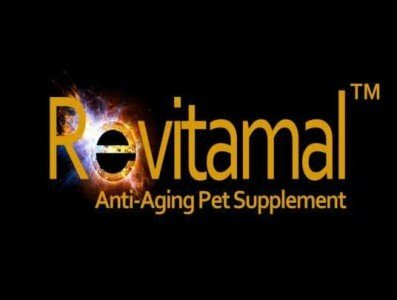 I was recently given the opportunity to try a product called Revitamal, which promises to restore older pets’ vitality and help them thrive well into their senior years. I decided that Siouxsie, at the wise and esteemed age of 18, would be my test subject. The science behind Revitamal’s formula has to do with powerful antioxidants, including Omega-3 fatty acids, that are supposed to rebuild cell membranes, protect against free radicals, and restore cellular energy metabolism. Having spent lots of time with people who are die-hard believers in “doctors” commonly featured on the QuackWatch website, I’ve heard a lot of this stuff before, so I really wasn’t buying it. 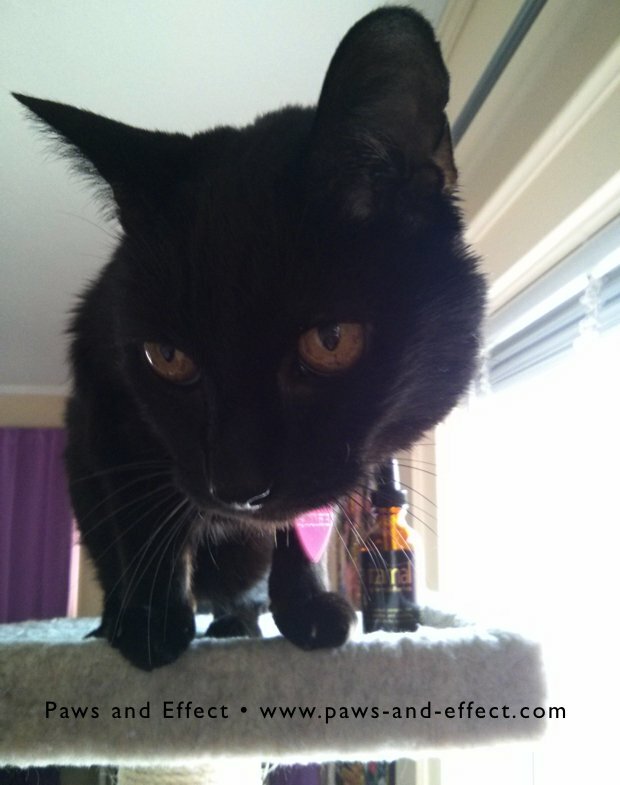 Siouxsie suffers from pretty severe arthritis, which is being managed by a medical cannabis supplement that has decreased her pain significantly, and like most cats her age, she’s in the early stages of renal disease. But even with the cannabis supplement (which has changed her life), she still seemed a little achy at times. I’ve been giving the Revitamal to Siouxsie for about three weeks now, and although it hasn’t got her back to her spring-loaded kittenhood, it does seem to have had a positive effect on her general pain level. 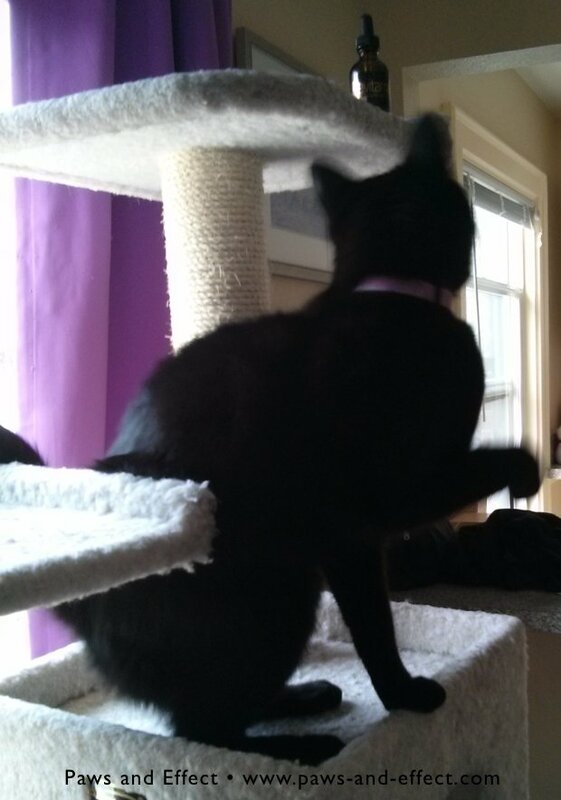 Last week I even saw her climbing to the top shelf of our cat tree for the first time in almost a year. Revitamal is easy to administer: It’s a liquid that you can simply put on your cat’s food once a day. I add the recommended dose to Siouxsie’s evening meal and she eats it with gusto, so clearly the taste doesn’t bother her! Canned or raw food works better for this form of dosing, of course. Siouxsie is going to the vet for blood work in a couple of weeks, and I’ll definitely be curious to see if her lab values have changed at all. Want to try Revitamal yourself? We’re doing a giveaway! The winner of the giveaway will win one bottle of Revitamal, with a retail value of $34.95. This giveaway is only open to United States residents over age 18. If you’re from Canada, the UK, Australia, New Zealand, or anywhere else in the world, don’t worry — we will have giveaways that you can enjoy, too. And if you don’t want to wait for the giveaway, you can buy Revitamal here. Entries are open through 8 p.m. Pacific Time Wednesday, July 2, 2014. In the comment form, please leave an e-mail address you check regularly, because you’ll have 24 hours to respond before I choose another winner. Please see our Giveaway and Contest Rules page for full details. The product will be shipped directly from Revitamal, so if you are a winner I will need to collect your mailing address and phone number to forward to them so they can arrange for delivery. Paws and Effect will not use your contact information for any other purpose. Disclaimer: This post is sponsored by Revitamal and the Pet Blogger Network. 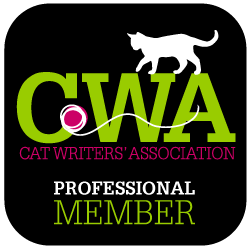 I am being compensated for helping spread the word about Revitamal, but Paws and Effect only shares information we feel is relevant to our readers. Revitamal and AdaptoGenerations Inc are not responsible for the content of this article. Is it OK to feed young adult cats senior formula cat food? Why Are My Cats Fascinated By Trucks?